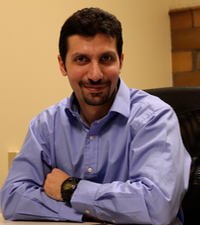 Dr. Mohammad is an assistant professor at the Electrical and Computer Engineering Department at University of Detroit Mercy. He teaches courses on Computer Netweorking, Wireless Sensor Networks, Communication Theory, Fundamentals of Electrical Engineering, Digital Logic, Hardware & Software Integration, and Senior Desing. His areas of interest and expertise are real-time wireless intra-vehicle networks, inter-vehicle networks, co-operative robotic networks, Wireless Sensor Network (WSN), and Robotics Localization and Navigation.